A) the Kia Optima was getting a plug-in version and, B) that it is scheduled to arrive in the US a few weeks (~December 2016)/out in limited quantities in Europe now? If you went two-for-two, and also know that Mercedes currently makes a plug-in GLE as well, you are a master of obscure knowledge...and please feel free to email us about a writing gig here at InsideEVs! Fortunately, Fully Charged's Robert Llewellyn got an early copy of the car from Kia (for a couple of days!) and took the Optima Plug-In Hybrid for an extended review. 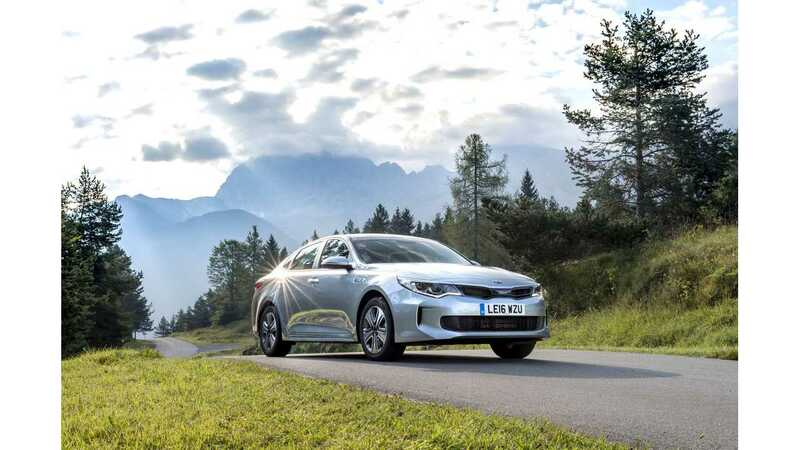 And despite heading into the review without high expectations and/or enthusiasm, the Kia Optima PHEV made a great impression on Robert; and turns out to be a very sophisticated plug-in car. 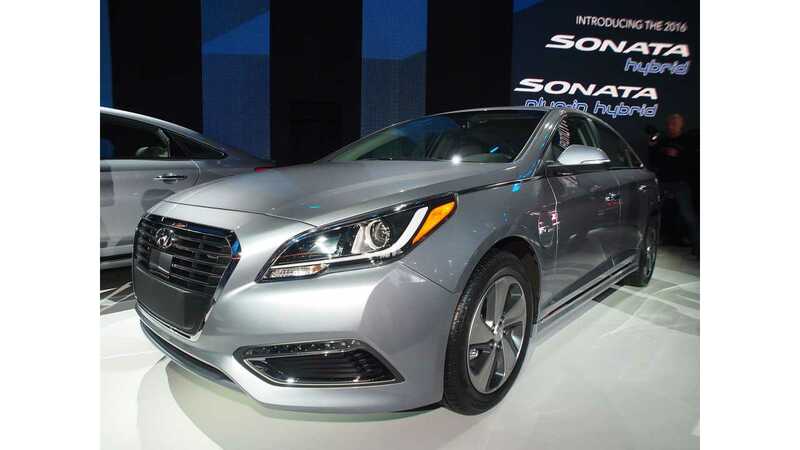 A sentiment we can agree with, as a member of the staff here picked up one of the first copies of the Hyundai Sonata PHV to use as a daily driver and it performs as admirably as Mr. Llewellyn discovers in this review. (As one might surmise, the Hyundai Sonata PHV and Kia Optima Plug-In Hybrid are badge-engineered copies of each other). 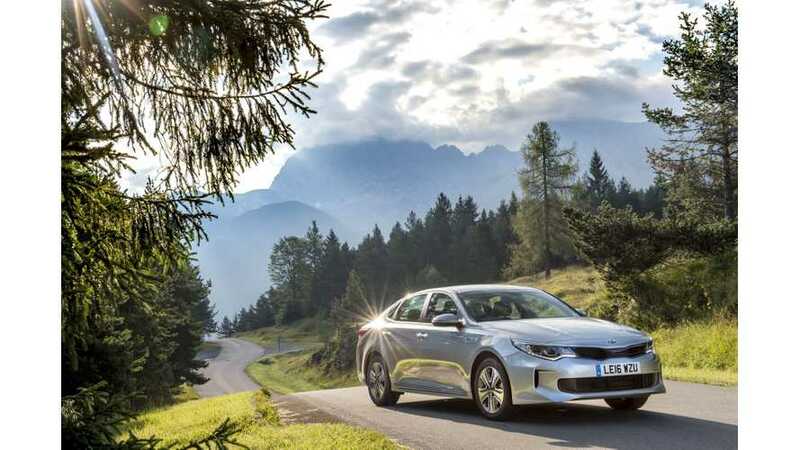 In the UK, pricing on the plug-in Optima starts from £31,495 (39,185) after the £2,500 plug-in car grant as been applied. US pricing has yet to be released, but given it's Hyundai twin is priced from $34,600...a few bucks cheaper than that seems in order. 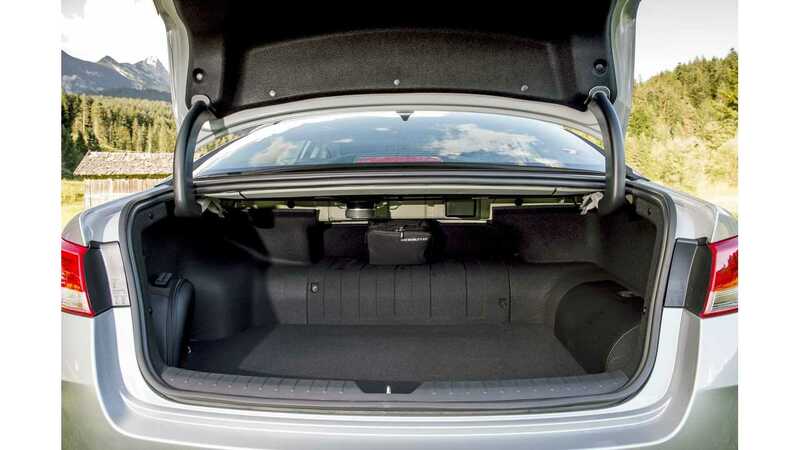 "The very sophisticated Kia Optima won me over. At first I was unimpressed, just another plug in hybrid, big petrol engine, all the usual caveats. However after many miles driving it, I started to appreciate the effort that has clearly been put into this car to make it stand out. And yes, it's the CLIFTON suspension bridge, not Bristol... duuuur, everyone knows that." Check out Kia's brochure/spec sheet on the 2017 Kia Optima Plug-In Hybrid here.